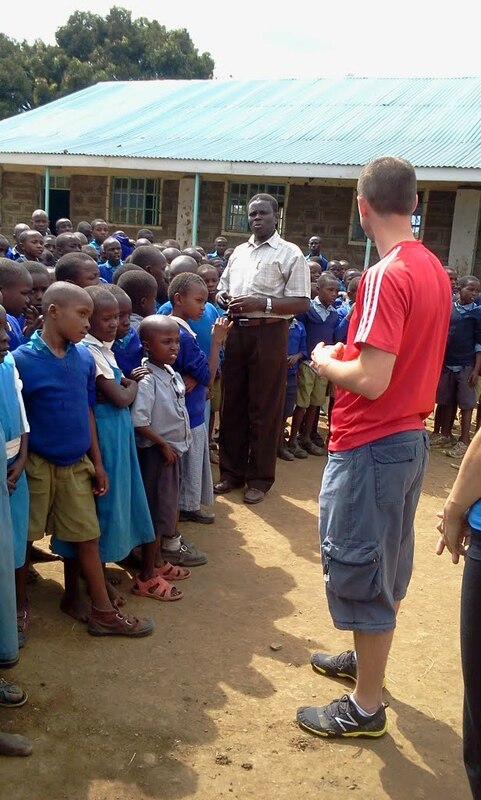 Donors and kids at Shalom Primary School in Rongai near Nakuru. VICDA was very excited to partner with World Teacher Aid, a Canadian organization, to construct Shalom Primary School in the Giwa IDP Resettlement in Rongai, Kenya. The children living at Giwa have had a very traumatic few years as they were violently displaced after the 2007 presidential election. In addition to living in small tents in overcrowded IDP Camps these children had virtually no access to education for about 4 years. The construction of Shalom Primary School was an important project for the Kenyans living in the area and serves as an enormous step forward as they begin to rebuild their lives in their new homes. Currently 567 students attend Shalom Primary School. Shalom was the first primary school to be constructed in the area and includes classes 1 thru 8, an administration block and 3 toilet blocks. The construction costs approximately $110,00 USD and will be in use for generations to come. 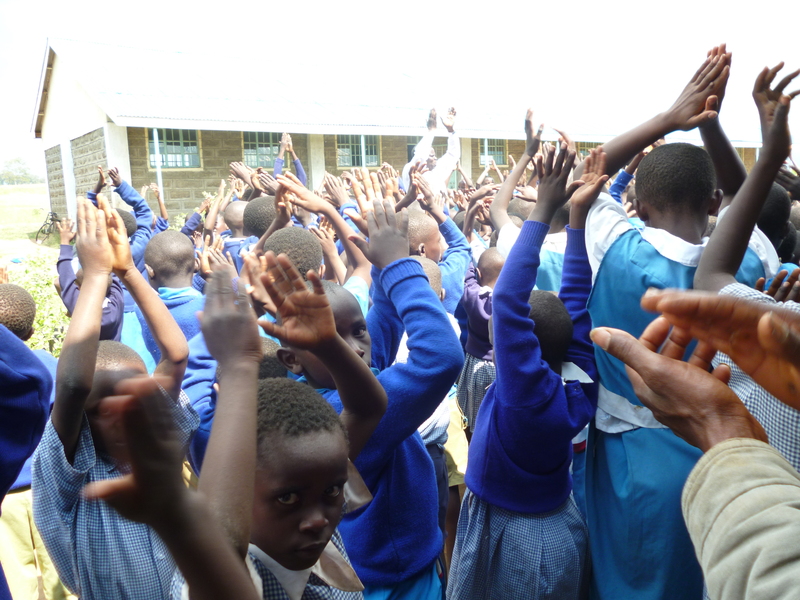 Students at Shalom Primary School celebrate the opening of their school. Both VICDA and the residents at Giwa are grateful for World Teacher’s Aid and the work that they have done in the community. Last year donors from World Teacher’s Aid traveled to Kenya to meet the residents of Giwa and to search out new areas in need of schools and donations.